On Thursday, Naidu had requested EC for extension of polling time in state to compensate for time lost due to technical glitches in EVMs. 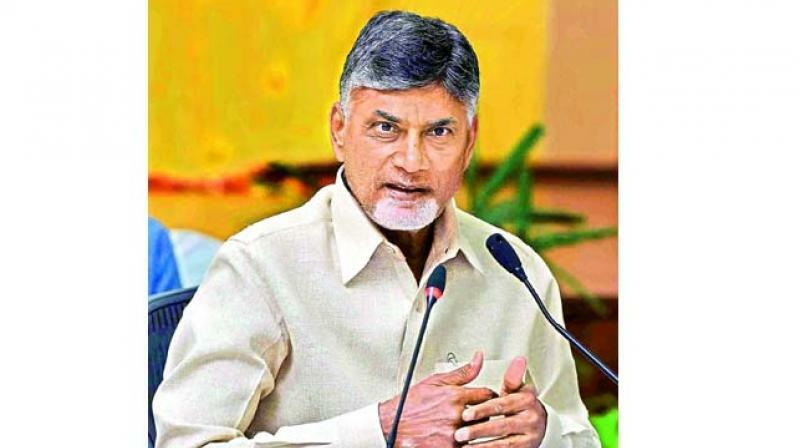 Amaravati: Andhra Pradesh Chief Minister N Chandrababu Naidu on Friday said he will meet Election Commission (EC) on Saturday over the issue of malfunctioning of electronic voting machines (EVMs) in the ongoing general elections. "Tomorrow I am meeting Election Commission and I am going to discuss the anomalies and technical problems EVMs are facing. Nobody knows what is happening in EVMs," Naidu told reporters here. Yesterday, after polling in a few districts of Andhra Pradesh was disrupted briefly due to malfunctioning of electronic voting machines Naidu had requested the EC for an extension of polling time in the state to compensate for the time lost due to technical glitches in EVMs. On Thursday, voting took place for all the 25 Lok Sabha seats in Andhra Pradesh and for its 175 Assembly seats. The results will be out on May 23.